There was added tension and suspense in the air even as people arrived to the Casino tower where the Hutt Council chambers reside. Security was tighter than usual, guards everywhere. No weapons were allowed in. 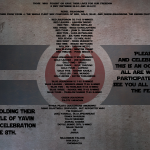 Yavin IV is holding their annual Battle of Yavin Anniversary Celebration on June 8th. Please come and celebrate with us. This is an OOC event that all are welcomed to participate. When arriving a little late to Hutt Night due to traffic, I came upon a spectacle I’ve never witnessed at Hutt Night before. A Togruta slave was being auctioned off. She ended up being bought by Sunee the Hutt. There was squabbling over the price as some other bidder made a large bid and felt that they should win the bidding, but it was decided that Sunee’s offer was best. Sunee payed a ludicrously exorbitant amount. Did the Togruta swallow something of great worth that would raise her price so high? There was a bit of discussion about a spice product owned by clan Yunapu that they were putting up for sale. 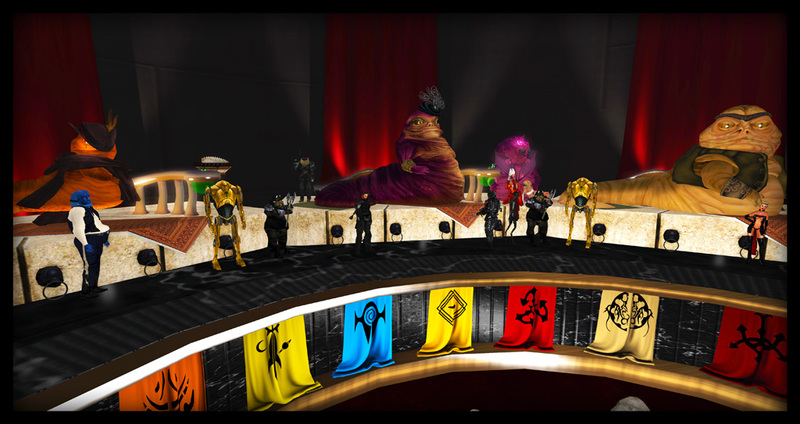 The Reavers expressed interest and it was decided they would deal privately with the Yunapu afterward. Then Sunee the Hutt made an announcement saying, “the Togruta is now free and will work for me as an employee. After she is healed she will entertain and let everyone enjoy her value as she see fit.” Some of the other hutts found this very amusing for some reason. 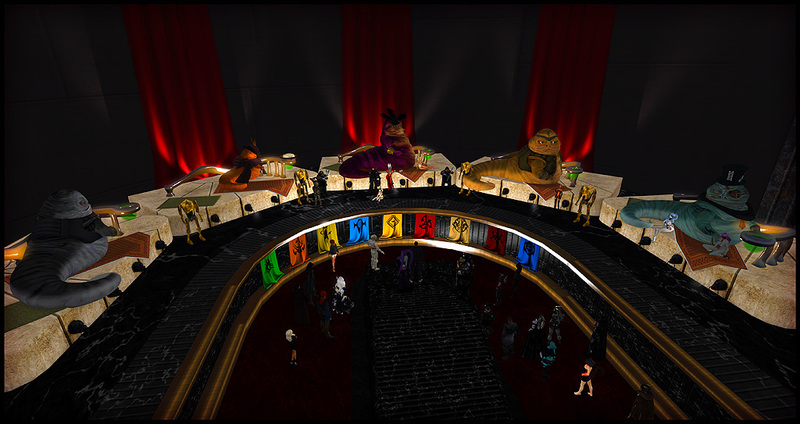 There was no other business after that and Hutt Night concluded.